Tom and his team have combined experience of over 100 years. Tom will not accept less than the best in whatever his team provides and he takes pride in knowing that.  D & M Corvette Specialist provides a full range Service Department to handle all your needs. We also conveniently provide quotes for our clients. From simple installations to major overhauls, we can provide a competitive quote for your service needs. Wheel, Tire & Alignment Services – Chrome wheel packages -Hunter Laser alignment service, Coker and all major brands of tires, balancing, 2 or 4 wheel alignment services-30 years of experience. Engine Repairs Rebuilding and Engine Compartment Services- Complete tune-ups, restoration and rebuilding, performance enhancements, detailing, fuel injection repairs and engine and compartment detailing. Brake Services & Repairs- All years, all models. Brake enhancement packages available, Brake flushing services (B&G machine), Disc brake add-ons, stainless sleeved calipers & lines, as well as, inspection services available. Exhaust Systems & Services- Corsa, B&B, Allen’s Exhaust systems available and installed on All Model Cars. Exhaust, manifold detailing & coating service (looks nice & lasts) Stainless & aluminized systems, chambered systems installed as well as customer supplied systems. Side pipe systems available. Interior Repairs- All years, all models. Original/custom services, soft top & seat belt restoration services. Fluid Services- Lube, oil, filter service. Rear axle Posi-Lube service, cooling system flush & cleaning, complete brake system flush, trans gear box lube services, auto trans filter and fluid, injector cleaning. Fuel system drain and fresh fuel added. Cary Kuczkowski , our restorer, has restored General Motors 1953 Vette and over 100 other award winning cars of various makes. His experience is only surpassed by his love of cars. Cary was the youngest ever to receive an award from Zora Duntov and the NCRS. Whatever you need, we’ll get it done!